This surfing mecca offers a variety of activities including mountain biking, sailing, fishing and rock climbing. The pristine white beach stretches on forever. Elands Bay is the beginning of the West Coast Way Wild Route and its Sustainable Seafood Track. Elands Bay Hotel is an institution. Undeniably. End of story. It’s an institution among surfers, lovers of the West Coast, those who like getting away from it all, young lovers, old lovers who want to reminisce – anyone and everyone who enjoy a drink at sunset overlooking the waves of the West Coast, or occasionally, a flat ocean where you can see the sun sinking into the sea. If you stretch out your hand it feels as if your fingertips are but a few metres away from the sun. If you look over your shoulder the sunset is reflected in the windows of Elands Bay Hotel. Birders from Verlorenvlei pop in, foodies come for seafood, surfers come for a beer or someone waltzes in who has heard of the Elands Bay Hotel and want to experience it for themselves. 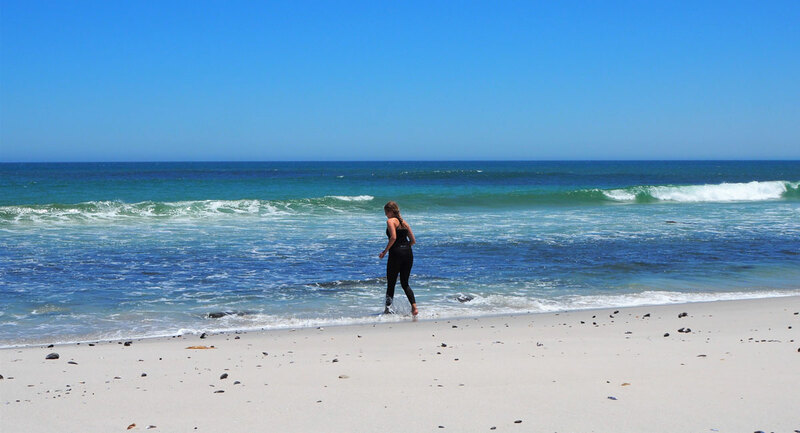 The surfing at Elands Bay as well as the Elands Bay Hotel has developed a bit of a cult following. The waves are worth six stars, not even five, so they say, so it’s no wonder surfers from all over the world come here. If you’ve driven this far – though it’s only 220 kilometres from Cape Town which makes it a perfect getaway for a weekend – you might as well spend a night, or two, three. Elands Bay Hotel offers, amongst others, five sea-facing rooms: a spacious presidential suite, three double rooms and a family room. Don’t miss an evening in the bar – it has an extensive collection of Jagermeister bottles with personalised messages, a “low flying bar lady” as a sign attests and murals of fishing boats, seagulls, dolphins and mermaids – where you can listen to stories of yesteryear or gossip of the moment. Wander around till you find the carousel panda in the hotel, and wake to a real boere-breakfast in the dining room with a view of the sea. The consistent Atlantic swell that wraps around a rocky outcrop creates one of the best left-hand surf breaks on the African continent here. The town is also famous for the Elands Bay cave – a Western Cape Heritage site – situated on the same rocky outcrop known as Baboon Point or Cape Deseada. A single hotel in town serves excellent breakfast with self-catering accommodation also available elsewhere. The local wetland, Verlorenvlei, is a Ramsar site and excellent birding destination. 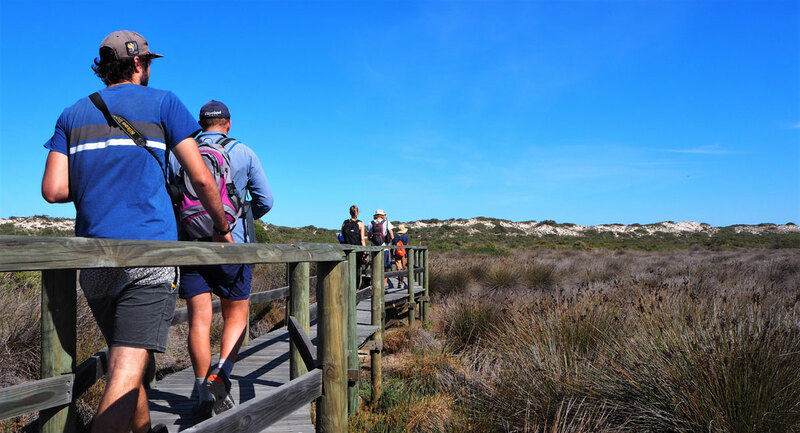 Find Elands Bay on the West Coast Way Wild Route.